Tottenham manager Mauricio Pochettino has described Christian Eriksen as a 'special' player and says he trusts him, like his dog. 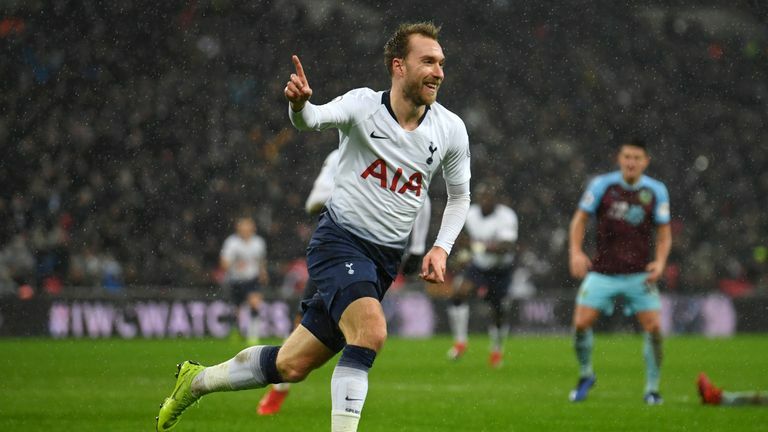 Tottenham boss Mauricio Pochettino says he is very happy with Christian Eriksen's performances and hopes he will sign a new long-term contract. Pochettino added that he gives the Danish playmaker complete freedom when he goes onto the pitch - and jokingly compared the situation to walking his dog in the park! Eriksen has 18 months left on his Spurs contract and the club are hoping he will agree a long-term deal. Pochettino said: "We hope that he can be here for a long time. "I think Christian is a fantastic player. I was in Copenhagen in the summer and spent a good time with my wife, and Christian, in a very nice restaurant! "We hope that Christian can commit to the club with a long-term contract - but in football business it is about timings and negotiations. "He is ready to wait. Maybe sign this week, maybe sign in six months. "For me, it is not a point to discuss. He is very committed with us and he is playing so well. He is a great player and I am so happy with him. "He is a special person and you need to give him some freedom on the pitch. "You cannot put him in a box to play, you need to give freedom and trust in him. Should Poch stick or leave? "It's like my dog in the park - I say, 'go, I trust in you!'. Christian, you need to trust in him. "There is going to be a decision, and I hope he will commit to the club for the long term."